I had the same issue when I reinstalled. It fixed itself in not too much time…not sure if it just took time to load up or whether it needed a location change to trigger it. Dang. Have you tried clearing the cache on the app? So oddly…last night it updated… NO IDEA why it took almost a day…but…hey at this point. It’s working again. I’m going to go for sensor #2 on the wife’s phone now so we will see how that goes. Funny. My wife’s took straight away, no idea why. Have you tried uninstalling the webCoRE app from the Android phone, then reinstalling it and reconfiguring the sensor? I set up a home location and two away pins a north and south. I made sure the inner and outer were big enough in each location but WC still tells me I am away. Do the away and home pins need to touch or should they have separation to ensure the presence is picked up correctly? All my devices were accidentally deleted when I didn’t know Samsung Connect would control SmartThings. I’ve uninstalled and reinstalled SmartThings and webCoRE apps from my phone with no luck getting the “Setup Sensor” caption to show up from step 6 in the installation instructions. Any suggestions what I should try next? I’m trying to write up a sample piston in this thread and can’t do it without a webCoRE presence sensor. The Setup Sensor button won’t show until you kill and reopen the webCoRE App on your phone. That’s a known bug since the beginning. I’ve tried that. 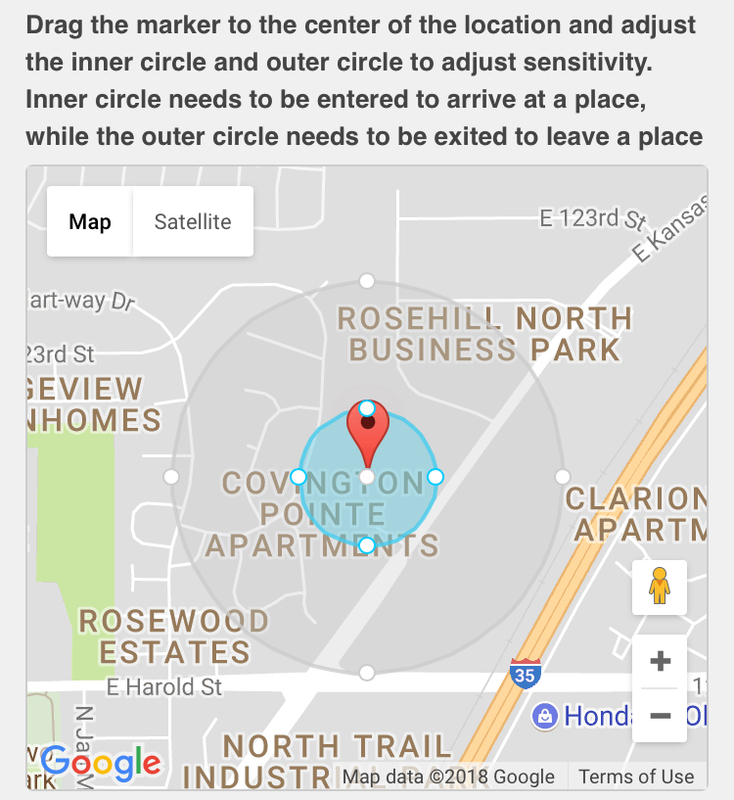 I’ve also uninstalled and reinstalled the Presence Sensor DTH, SmartThings App, and webCoRE app. No dice. When you reinstalled the webcore app, did you create a new instance the first time you opened it? "Step 6: Open the webCoRE app and follow the same instructions from step 3 to register the newly installed webCoRE instance." I recently reinstalled the app myself, and couldn’t get the setup sensor button until I created a new instance and registered the browser. You know… I did but I couldn’t swear it was the FIRST time I opened it. At this point I think I’ll rip everything back out and try that approach. Maybe even power cycle my phone once the app is removed so it doesn’t ‘remember’ the previous instance. I’ve been trying to use the webcore presence sensor on ios for a week or so now and there are just too many problems. I seem to miss an “arriving” or “present” event at least once a day, so that’s it for me. I’ll try again in 6 months or so. Going back to regular ios presence. I’m using this on 3 phones. 2 Android and an iPhone. But one of my Android phones is doing something very weird. My Note 8 has the webcore app installed. But it doesn’t update presence at any of my locations until it’s plugs into a power source. Then it updates with all previous location spots that it’s been to. Also, if it’s plugged into the car charger, it will update location in real time when a spot is entered or exited. I’ve went through every setting on the phone itself and everything is correct. Other apps on the phone requiring location seems to work fine. Also, my other Android and iPhone work great. This is my only problem. is your other Android the same model phone? Did you turn off battery optimization for the webcore app? Has it always worked this way, or did it ever work correctly? have you tried uninstalling and reinstalling? I am struggling to get my wife’s wc presensor to work. I have installed wc app, addeded it to ST ,removed it, uninstalled wc app, reinstalled, added back to st. 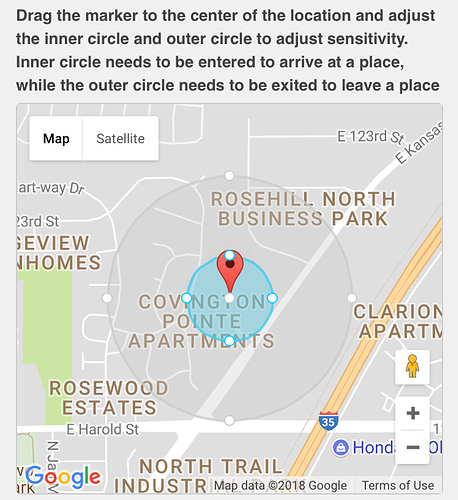 Still not reporting presense correctly, always shows her home and arrived the same minute that I selected the device. Can not toggle sleep/awake manually. I have a Note 8 that works fine. Do you have ST or Webcore going to sleep? You can set it in the energy savings I think. You can set apps not to go to sleep. Also there’s the location accuracy stuff.I’d be more specific if I was near my phone. This is the exact problem I’m having.